The West Coast Book Prize Society released the names of the winners for this year's BC Book Prizes at a special event in Vancouver on April 30th. Presented annually since 1985, prizes are handed out in seven different categories, all celebrating the achievements of writers and publishers hailing from British Columbia. 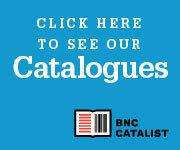 To learn more about the awards and to see a full list of this year's winners, please visit the BC Book Prizes website.